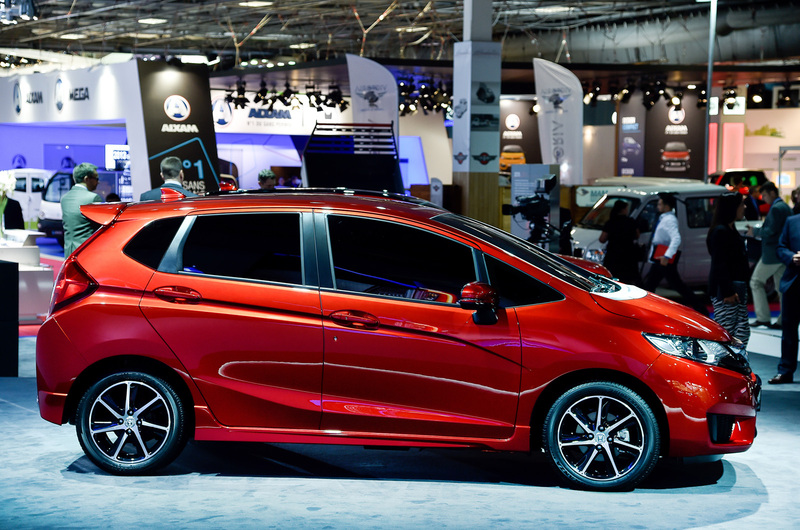 The new Honda Jazz will make its debut at next month's Paris Motor Show but won't be in showrooms until next summer. As with the Honda HR-V, the Paris debutant is officially a prototype but appears to be production ready. Power is set to come from a 1.3-litre i-VTEC petrol engine with manual transmission or CVT, with a 133bhp petrol-hybrid. 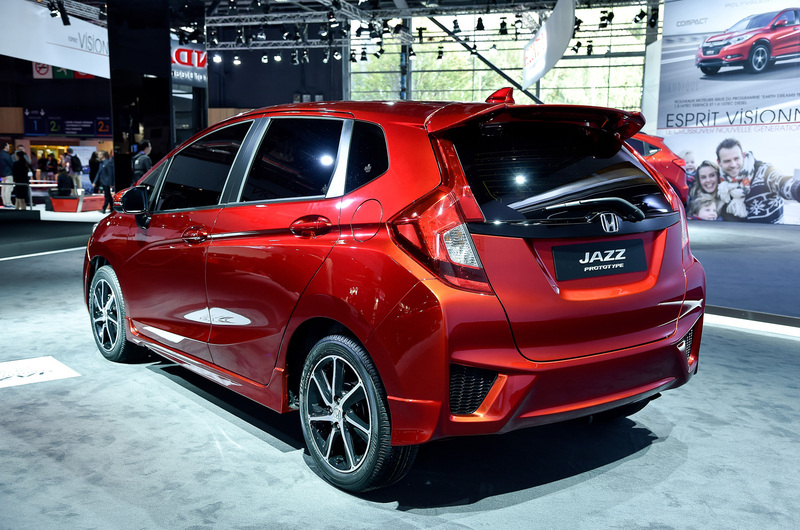 Honda claims "a more refined and comfortable ride for both the driver and passengers" for the new Jazz and offers a maximum 1492 litres of space. If the report is correct then it appears that the rumoured 3 cylinder 1 litre turbo and the DSG auto gearbox have dropped off the parts list. I had been expecting Honda to offer an option with class-leading economy in order to attact new customers. Being sold in NZ right now... has been for some weeks. Can't understand why we have to wait until next summer, maybe it's to keep Swindon busy until the new Civic Type R comes online? Because as far as I'm aware the next Jazz will not be built in Swindon (unless someone knows otherwise). Any clues as to expected mpg figures?? I bet we don't get them at that price ! I bet we don't get the tech stuff - reversing camera (having driven rental cars in the US with reversing cameras, they bring such peace of mind), lane departure warning, large colour screen, keyless start etc - either. For pricing, taking into account the exchange rate, divide NZ dollars by two to approximate UK pounds sterling. Like in the UK, Jazz is predominantly an older person's choice in NZ. Are you in NZ? I've seen the Jazz range there before and was bemused by RS, RS Sport & RS Mugen model designations - to UK minds that seems very sporting, or are the terms as meaningless there as putting "Sport" on most model designations here is? Rory, I'm now living in NZ. Spotted brightly coloured new Jazz's outside a dealer a few weeks ago... went and 'kicked the tyres', and talked to the proactive, enthusiastic salesman. I didn't have time for the offered test-drive but truly impressive back seat accommodation was viewed through the window. Exterior styling... in the metal? I'd say Honda are trying very hard with that - and colours - to attract a more youthful market. To my eye, the car looks much more 'premium' (inside and out) than my beloved GE model I sold leaving the UK. I didn't have time for the offered test-drive but truly impressive back seat accommodation was viewed through the window. Certainly in current Jazz, when our granddaughter (just turned 3) is in her car-seat the seat in front of her has to be pushed quite a way forwards to give her legroom - can be awkward is someone needs to sit in that seat. We just bought another Jazz for one of our daughters and she came from a 5dr Mitsubishi Colt which had a sliding rear seat and offered almost limo-like rear legroom when the seat was slid back. Of course that's at the expense of boot space, and I understand the 2015 Jazz has a somewhat smaller boot - possibly an issue for young mums as even something like a folding pushchair, never mind the typical pram Mums buy these days, is a tight fit in current Jazz. I was in NZ in early 2011 and noticed the bright colours, so that aspect is not new. The 1.5 litre engine seemed to be the norm perhaps because it was quite common to put a tow hook on the back for the boat etc. 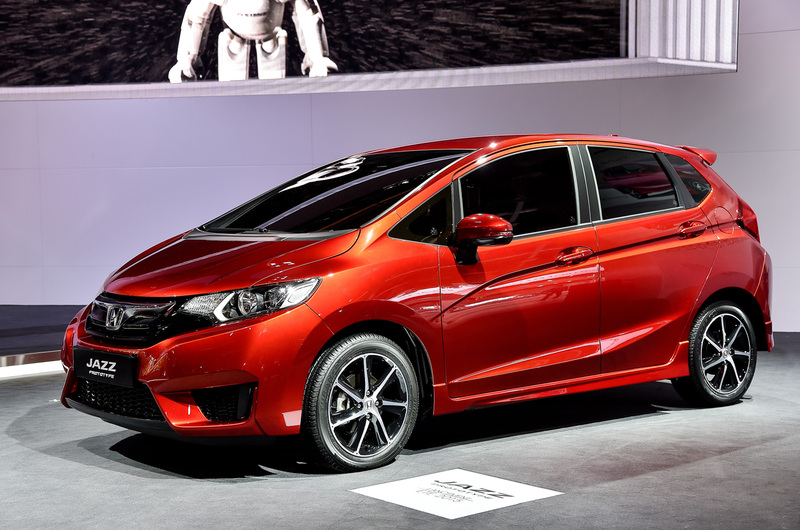 Let's hope that Honda can figure out how to do sliding magic seats for the UK Jazz. Updated with new pictures from the Paris Motor Show.